Internet cafes spread throughout Cordova allow anyone of any age to access the internet at all times. 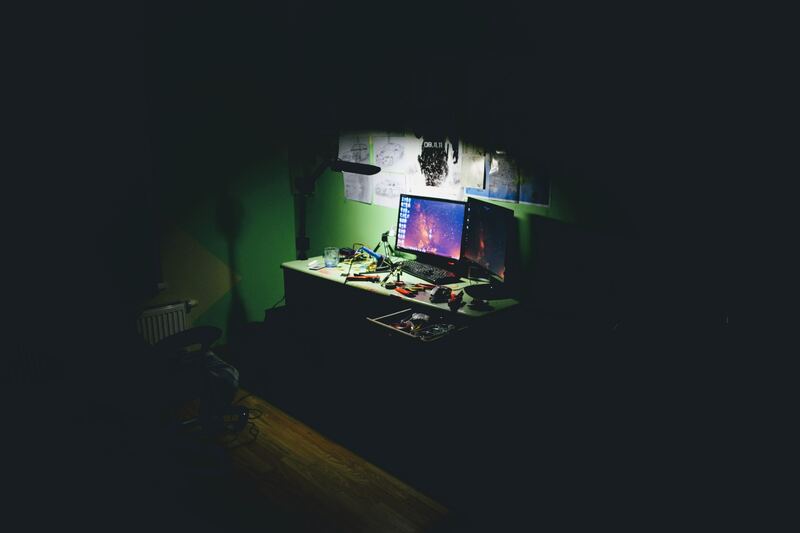 Many cases of online sexual exploitation are reported to take place within the homes of perpetrators. Neighbours living in the communities where exploitation happens can point to the homes where it happens—homes often recognized for being the largest and nicest in the area. Though neighbours are often actively aware, most are too afraid to notify the police or name names. There is a deep fear that the perpetrators could turn on them and twist the truth. 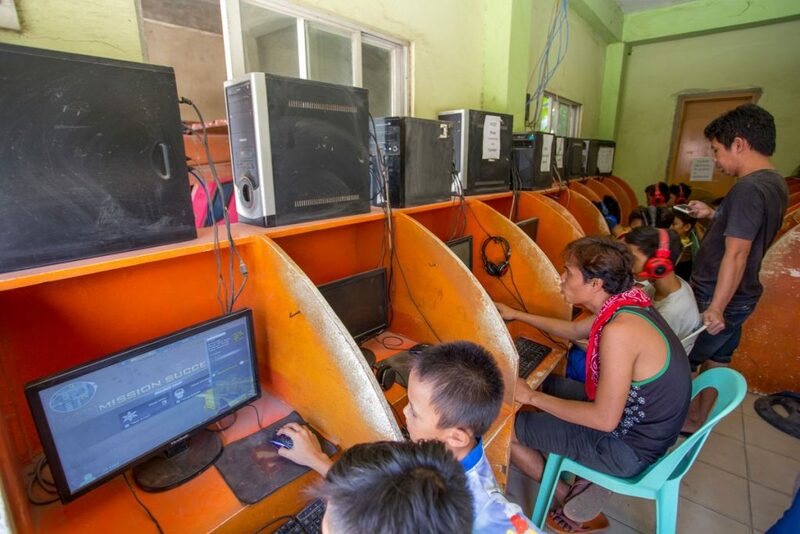 Along with homes, internet cafes are a hotspot for online sexual exploitation. Throughout Cordova, Cebu in the Philippines, there are internet shops around nearly every corner. Many of these shops have private rooms where users can lock themselves in and engage in any type of online transaction without being disturbed. Most of these private rooms are dark and dingy. The number of online sexual exploitation cases in the Philippines is growing at an alarming rate. According to International Justice Mission (IJM), the Philippine government was receiving more than 2,000 alerts of online sexual exploitation per month in 2015—nearly 66 reports per day. “Online sexual exploitation of children is a new enterprise of evil,” says Noel Pabiona, National Director of Compassion in the Philippines. One early morning in November of 2017, police raided a home in Cordova to arrest a woman who had been accused of running a cybersex den at her home, in front of her own children. Local authorities had placed the house on surveillance for several months, with neighbours and other sources fearing the woman had been victimizing her own children. Police arrested the woman in her home, finding her guilty of taking vulgar pictures of her children and selling them online. Authorities rescued her children along with three of her nieces and nephews in the house at the time. For safety reasons and while investigations were still ongoing, the children—one of whom was attending the local Compassion centre—were moved to a house run by the government’s department of Social Welfare and Development where they would stay for six months. 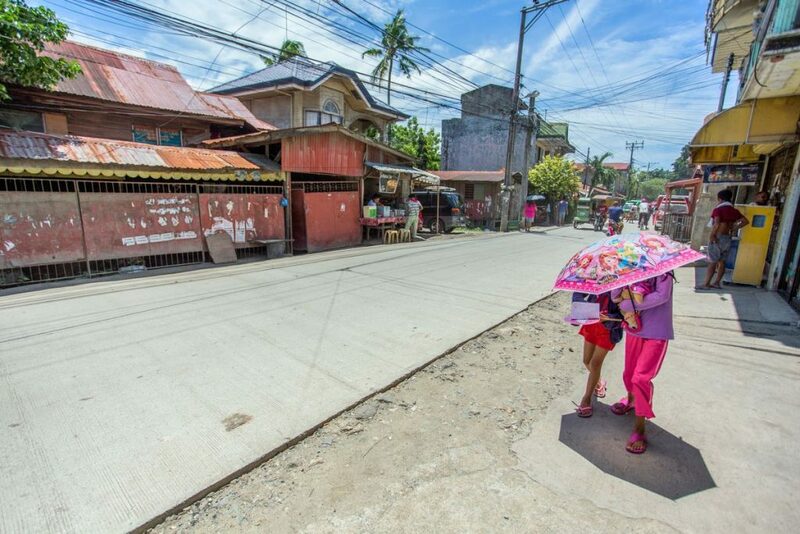 Cordova, Cebu, is home to Cebu Shalom Family Ministries—a local church partner of Compassion in the Philippines—ministering to 500 kids. 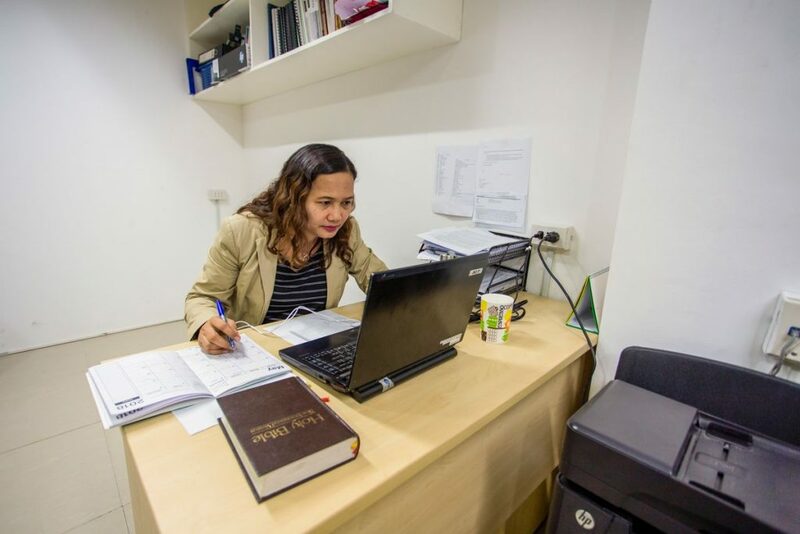 Diane Villarta is a local social worker, who has recently accepted a job as the Centre Director for Cebu Shalom. Though she is captivated by the opportunity to see children grow up serving the Lord and doing good in the community, she is fully aware that not all of the children in her care will experience happy, safe lives. “That simply is the reality,” Diane says. Cordova has been identified by local authorities and IJM as a hotspot for online illegal activities that victimize children. “It’s a difficult crime to crack because it can be done by anyone with a cell phone and internet connection at any time and from anywhere,” says Diane. 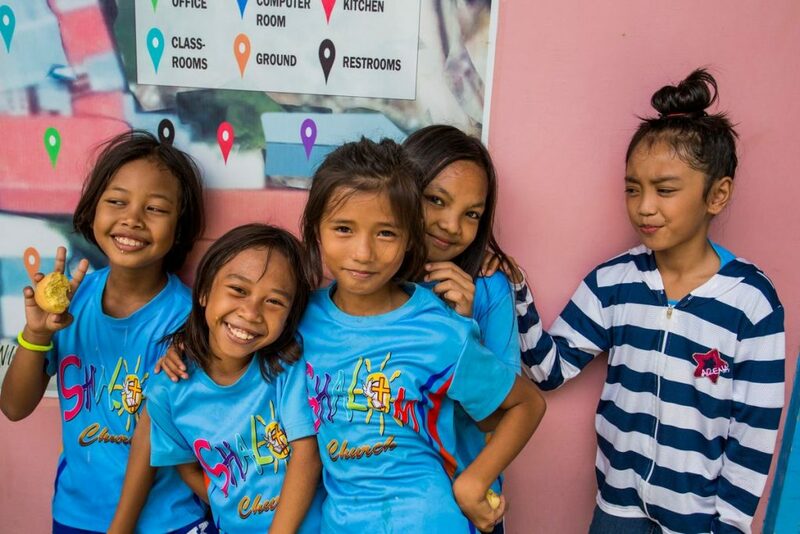 In light of the prevalence of this crime, each Compassion centre in the Philippines employs child development workers who regularly visit the sponsored children in their homes, schools and areas where they play—to know exactly what each and every child is going through. Mary Ann is the child protection specialist for Compassion International in the Philippines. Her main role is to help church partners handle cases of child abuse, child trafficking and sexual exploitation by linking them with relevant agencies. Two of these agencies include the Department of Social Welfare and Development and IJM. Mary Ann also provides education to church partners by producing materials and curriculum on how to help an abused child, what legal steps to take, how to lessen trauma and what psycho-social intervention to provide, among other things. Her goal is that each child who attends the Compassion centre is not only provided a place to learn about the love of Jesus, but a haven where they can play, sing, learn and just be happy. “But they cannot be happy as long as someone is hurting them, battering their tiny bodies or selling their dignity away online,” she says. To improve her skills in detecting probable online sexual exploitation cases in the future, Diane recently attended a child protection seminar conducted by IJM. From the seminar, Diane and the other participants, mostly coming from schools, faith-based groups and agencies involved in the care of children, were made to realize how seductive online sexual exploitation could be to families struggling in poverty. Online customers would pay big money and send it through Western Union or any of the local pawnshops. This is why the Department of Social Welfare and Development and IJM are now coordinating with these payment agencies to be notified of any unexplained amounts of money being sent to local families in unusual frequency. 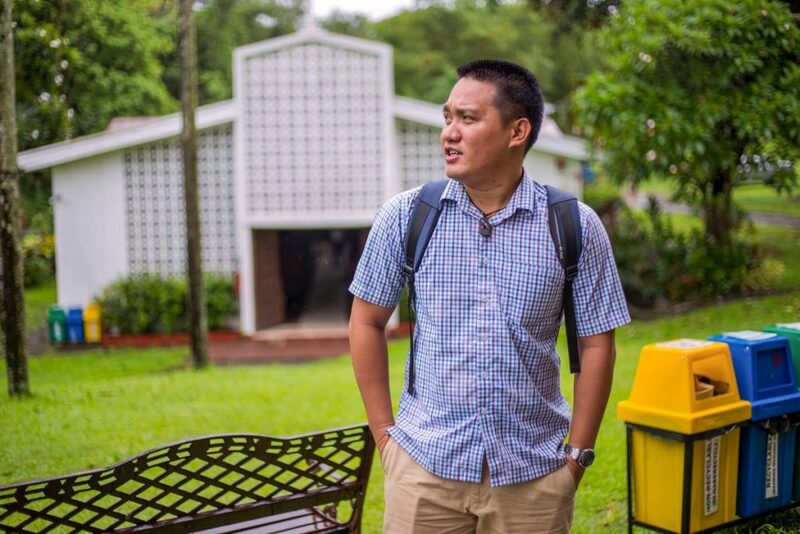 One of the churches that has partnered with IJM to prevent sexual exploitation is the Church of the Nazarene in the Philippines, whose field coordinator is a former Compassion beneficiary, Leody. 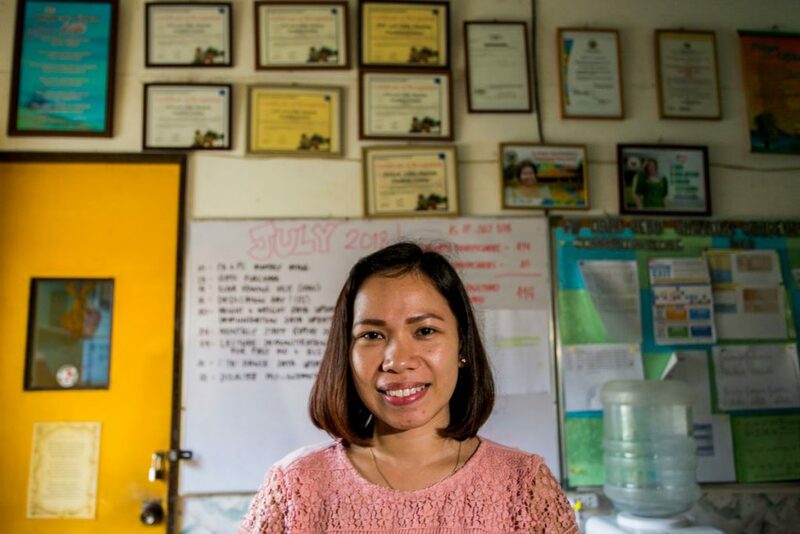 Leody graduated from Compassion’s sponsorship program in 2014. Today, he is in charge of the Church of the Nazarene’s disaster response, child sponsorship and development, and the protection of children from abuse, cyber trafficking and online sexual exploitation. To date, this young Compassion alum has taken part in several human-trafficking rescues and conducted seminars in schools, communities and about 350 churches, some of which are local partners of Compassion. “My heart beats for the children, including Compassion’s children, as I was once one of them. I pray for each child not only to be spared from sexual exploitation but also to fight this evil, as I am doing now,” says Leody. Mary Ann and Compassion Philippines share in a unified prayer. Compassion works hand in hand with IJM defending the little ones. Mary Ann reaches out to IJM whenever a case of abuse or exploitation is elevated by any of Compassion’s more than 350 church partners scattered all over the islands. IJM in turn collaborates with Compassion to promote its advocacy efforts. In July of 2018, the two charitable organizations signed an agreement to seal their commitment of fighting online sexual exploitation of children together. Together, Compassion and IJM have conducted a number of awareness campaigns on the online sexual exploitation of children because many of the places where the crime is prevalent are the same areas where Compassion’s church partners are operating. Will you partner with us too? Join us in prayer and in action as we seek to restore freedom, safety and hope to those children who are suffering from the dark industry of online sexual exploitation. This isn’t the end of their story. As Christ’s children, we’ve been equipped to stand for justice in His name. Our friends at IJM Canada have so many ways you can give to and advocate for change! Visit their website today to find out more. You can also consider sponsoring a child in the Philippines to ensure they are known, loved and protected.